Dr. Haroon Khan is fulltime Finance faculty at King AbdulAziz University, Jeddah, KSA and Institute of Business Administration (IBA), Karachi. He also has been visiting faculty at various business schools in France and USA. He is a trainer and consultant in finance, venture capital, corporate strategy, Islamic finance, knowledge based performance and innovation. He has obtained PhD in Strategic Finance from IAE, Aix en Provence, France. His doctoral program was in joint collaboration with ESSEC, Paris, France (both being Top ranking business schools in Europe/France). He also holds MS in Finance from same school. He will bring his 10 years of experience in academia and corporate world both in Asia and Europe. After doing his MBA in Finance & Investment, he worked for few years in Pakistan before moving to France for higher studies. In France he has been adjunct faculty to top ranking business schools. He has taught courses in the field of strategic and corporate Finance. He also has two start up ventures in France on his credit along with diverse experience in Financial consultancy, IT and sports industry in Europe particularly in France. He has already published research articles in peer reviewed international journals of repute along with number of international research conferences, symposiums and workshops. 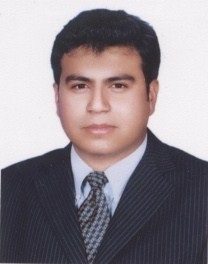 His research interests include Entrepreneurial Finance, Corporate Restructuring, Venture Capital, Private Equity, Islamic Finance, Knowledge based models, innovation, Public-to-Private Transactions, Going Private Transactions, Leveraged Buyouts, Management Buyouts, CSR and Innovation in Buyouts, Herd Behavior in Capital markets, and Business Ethics.